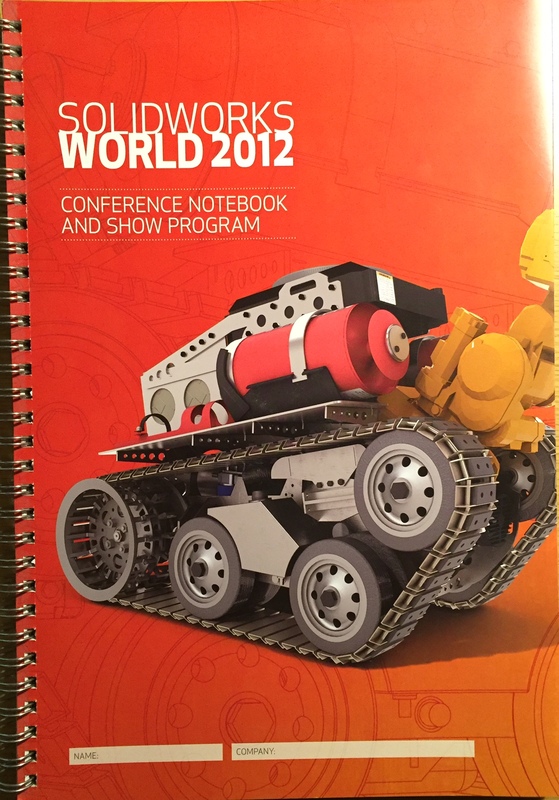 To say that a lot happened between SolidWorks World 2011 in San Antonio and SolidWorks World 2012 in San Diego is a bit of an understatement. 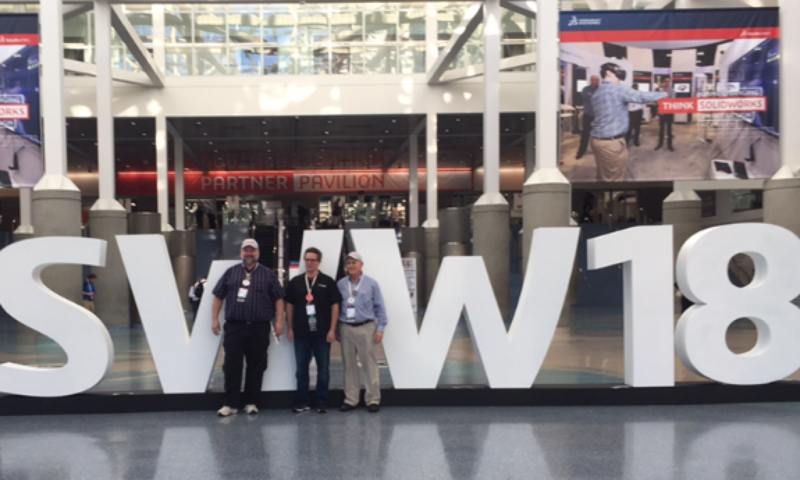 I was setting up the blog right before SWW11, and I started blogging about the conference shortly after returning home. I was going through some of these old blog posts recently, and noticed that I posted one the night before my world changed. I was involved in a very serious car accident about a month after getting home from San Antonio. This was right around the time that SolidWorks was announcing the dates/locations/sign-ups for the SWUGN Summits. I was really looking forward to attending the Summit, and was anxious to get registered. Probably a little too anxious if you ask my wife . . . 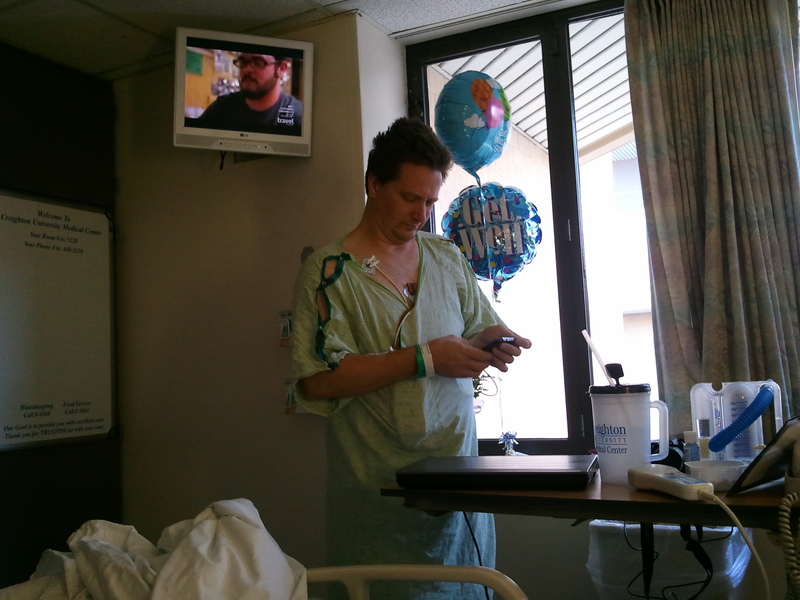 This is me, the day after being transferred out of the Intensive Care Unit, but still in the hospital. Despite having 3 broken ribs, a partially collapsed lung, and head trauma that caused serious double vision, I was on my phone registering for the SWUGN Summit in my region. It still seems really weird that I felt a “need to get registered” while I was still in the hospital. 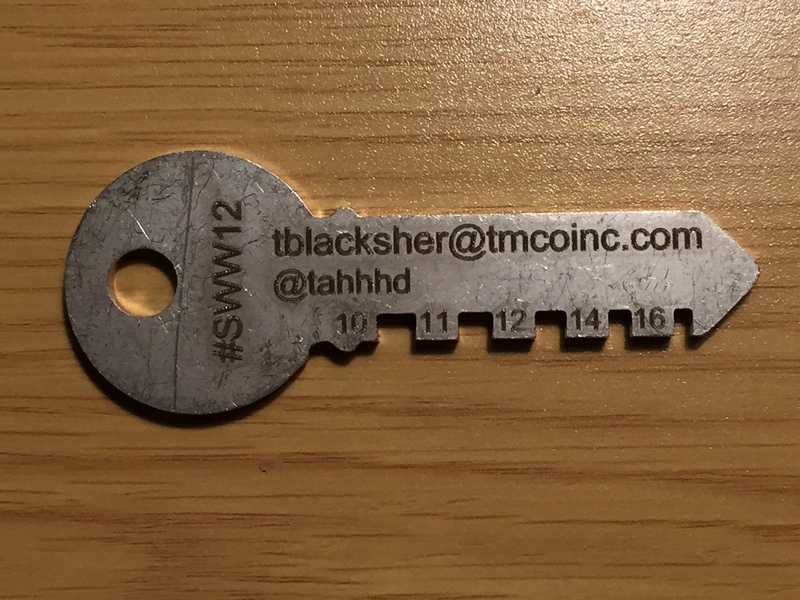 When I went to the event a few months later, it was announced that I was the first person to register for the event, and that won me a free pass to SWW12! To continue with the tradition of having great presenters from various television shows, SolidWorks brought in Mike Rowe from Dirty Jobs. It is always fun to hear people talk about doing what they love, and you can tell that Mike really enjoys his job! Joe Dunne from SolidWorks sat down to interview Tony Fadell. If you don’t know Tony, he has been dubbed the “Father of the iPod” – He is on a new adventure now, he created the NEST learning thermostat. Geoff & Mike Howe from Howe and Howe Technologies (and various Discovery Channel shows) spoke about a lot of their projects as kids, all the way up to some of their most current projects. Ben Kaufmann from Quirky.com gave an overview of how Quirky is able to help people develop their products and get them to market more efficiently by making it possible for them to easily collaborate and share ideas with others around the world. 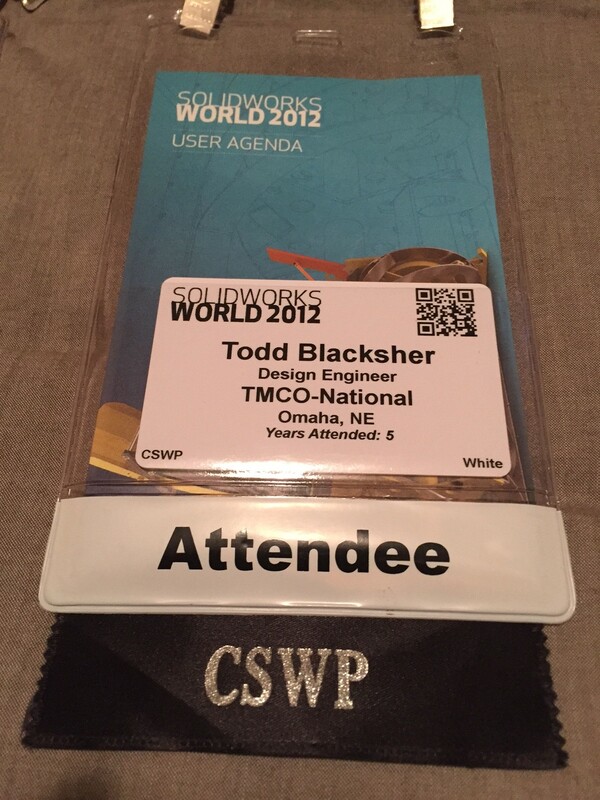 This would be the last year that my CSWP ribbon would get me into the “CSWP Special Event” – Starting at SolidWorks World 2013 it is “CSWE Only”. It was announced that SolidWorks World 2013 would be back in Orlando!